Made's Warung, Seminyak, Bali, Indonesia - my name is Food. Made's Warung aka. 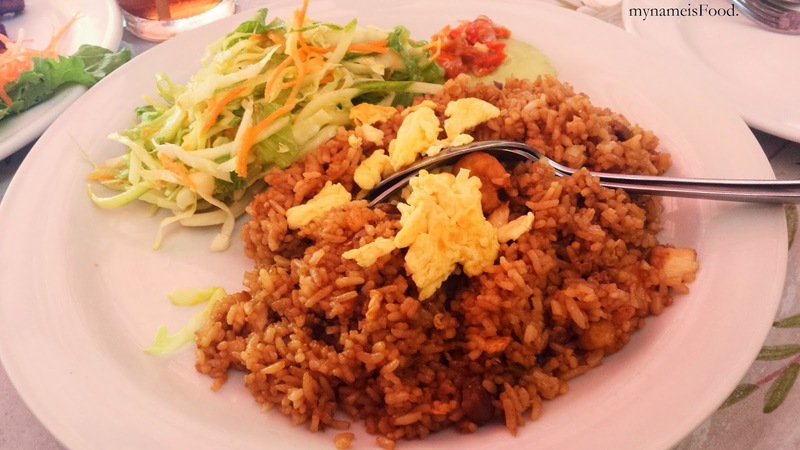 Warung Made is located in Seminyak and has been established since 1969, being one of the many favourite restaurants for locals, expats and tourists offering traditional Indonesian cuisine. Many people would recommend this restaurant and for those who like history, then this restaurant definitely has its own history. A western man who fell in love with the restaurant's owner's daughter. They do have their history in the restaurant in pictures in which you can see for yourself. A spacious restaurant with natural light and fresh air also shining upon the outdoor area, there is also a stage for events such as live performances. When we arrived, it was quite empty inside but since they had an outdoor and an indoor seating area, the outdoor area had a few diners though not as much as I thought there would be. We weren't quite hungry when we came so we ordered one main and one side. They offer Indonesian, Thai, Western and Japanese food but it is Bali, it is Indonesia and an Indonesian restaurant, I would obviously choose and prefer to eat Indonesian food. 'Nasi Goreng Ala Made' (IDR 50k - AUD $5ish) was not as wow as I hoped it to be. 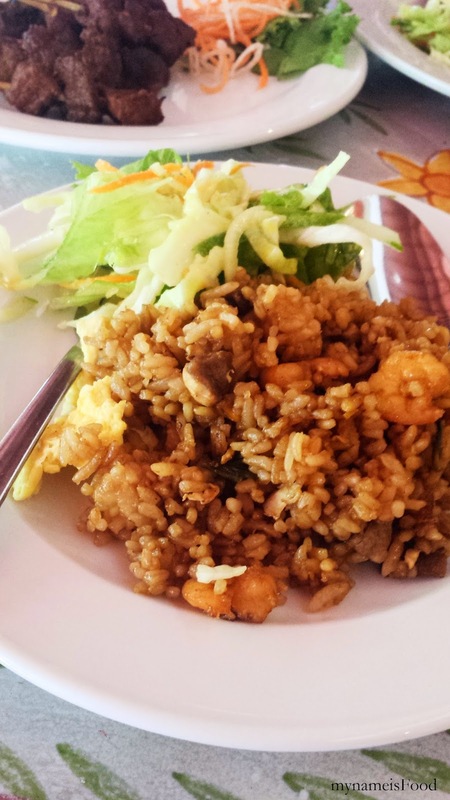 The taste of the fried rice was just so-so, the sambal helped with the taste though again, nothing special. 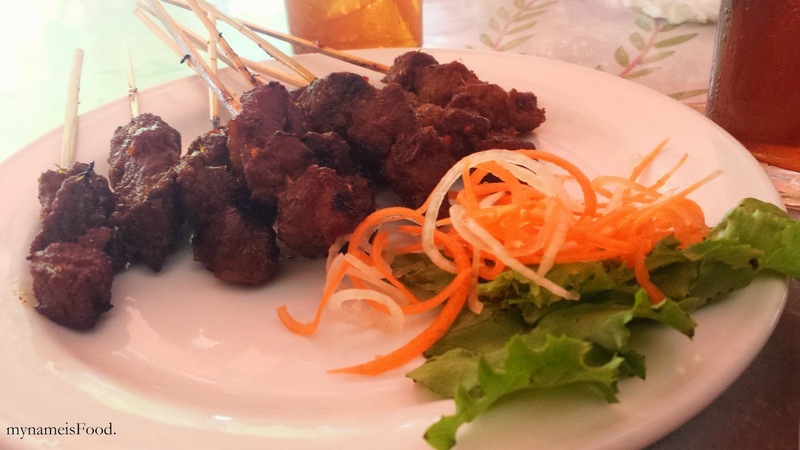 'Pork Satay' is always one of my favourite food in Indonesia. You can eat it anytime, and anywhere, and oh gosh, just makes you smile after eating it or while munching on it. 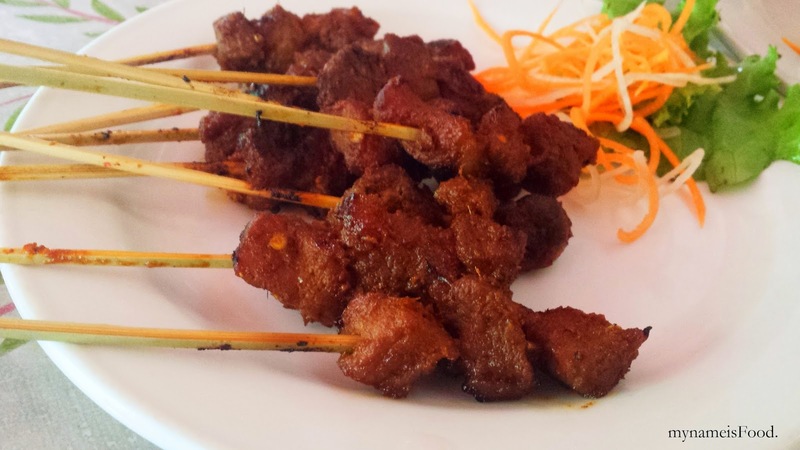 The pork satay here, was just okay, I have had better even the ones that will make you drool. Just a tip, if you plan to come here for dinner, do book or come a bit early, the place do get filled quickly. Even if the parking is quite huge, everyone gets there by car mostly so yes, just a reminder.